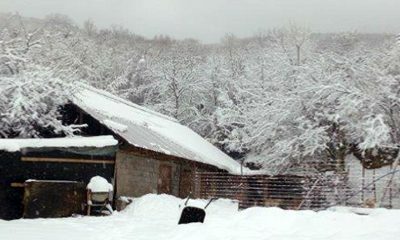 Bulgaria: Battle to get to Snowbound Shelter for the Dogs. 6 Travellers Arrive In the UK. Battle to get to Snowbound Shelter for the Dogs… Plus more puppies than ever and our 6 travellers arrive! We are thrilled to update you all that thanks to all your donations, our 6 travellers from Mimi’s sanctuary have now arrived with us in the UK! They will now begin the long process of slowly being adjusted from the isolated life in a mountain top shelter with only Mimi for human company to the hustle and bustle of western life, adjusting to traffic and walks on a lead on a pavement as well as the gradual introduction to social gatherings of groups of people, and many other social activities that are common place for dogs with their families in the west. UPDATE: 100 Animals to Be Released from Russia’s ‘Whale Prison’. Turkey: Comparing Slaughterhouses – ‘Eyes on Animals’ Investigation.